So you’re thinking of hiking to Havasu Falls? 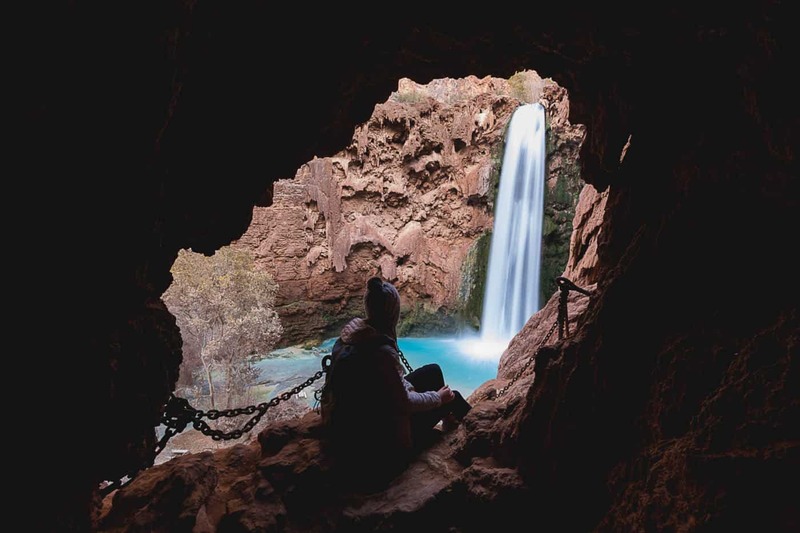 With 9 miles of cool canyon scenery and that crazy blue waterfall waiting for you at the other end, I don’t need to convince you that the Havasupai Falls hike is a rewarding one. But it’s also more challenging than you might think, so you’re going to want to be prepared. 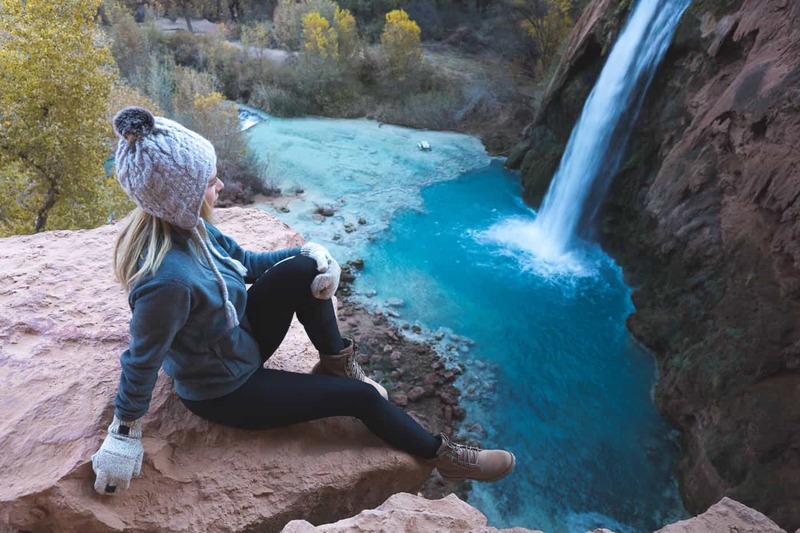 Here’s everything you need to know about hiking to Havasu Falls. 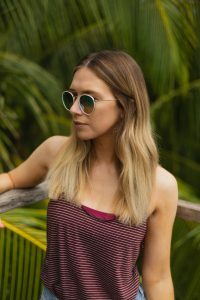 I went to the United States to visit family, but I was really amazed at just how great the country is for travel. I guess it shouldn’t come as a surprise given the size of it, but the USA is one of the most diverse countries I’ve ever been to. There’s something for everyone, especially when it comes to getting outdoors… and that includes lots of incredible hiking trails. I wasn’t massively into hiking before I visited the US, but that quickly changed when I arrived! From Sedona to Zion, there are so many amazing hiking trails, especially in the South West. The best one, though? It was easily the Havasupai Falls hike. Just because the hike to Havasu Falls was a real highlight of my travels in Arizona and the USA in general, doesn’t mean it was easy – or enjoyable! – all the way. In fact, it was probably the hardest hike I’ve ever done. The ground isn’t particularly hard to cover and it’s only 9 miles in total, but carrying three days’ worth of camping equipment on your back doesn’t make it any easier. Even in January, I was pretty warm in the middle of day, so aim for a morning or evening hike if you’re planning to visit Havasu Falls in the warmer months. Unfortunately, the hardest part of the entire Havasupai Falls hike is on the way out. Right at the end. After hiking a good 3-5 hours through the canyon, camping gear on your back, the final hurdle is an uphill series of switchbacks that feels never-ending. It’s high. It’s hard. And I suggest you leave a few bottles of water in the car to gulp down when you make it to the top. But it definitely adds to the post-hike satisfaction. Luckily for those of who aren’t too gifted at reading maps, hiking to Havasu Falls is very straightforward. So straightforward, in fact, that you’ll feel like you’ve been walking in a straight line forever. Because the majority of the Havasupai Falls hike is directly through the slot canyon, it would take a very gifted person to get lost. If you don’t fancy the hike to Havasu Falls but still want to visit, you can take the Havasu Falls helicopter for around $100. But I highly recommend the hike, even if you only hike one way (hint: hike in). If you want to attempt the hike but don’t want the burden or added pain of carrying your camping gear, you can send your bags with the helicopter and collect them once you arrive in Havasupai. In hindsight, this is probably what we should have done. 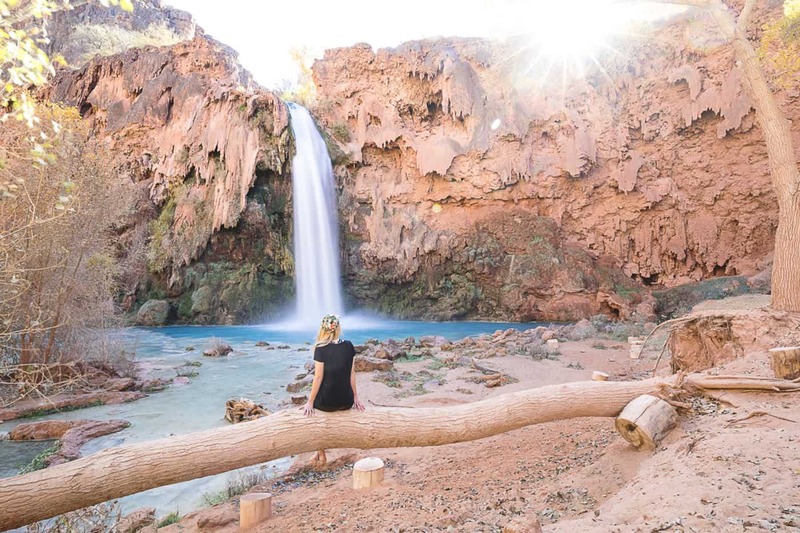 If you’re hiking both ways, you’re definitely going to need to stay in Havasupai overnight. If you want the full Havasupai experience, take a tent and camp next to the beautiful waters of Havasu Falls. 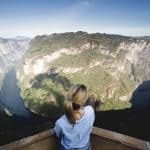 It’ll add a little extra weight to your bag for the hike, but it’ll be totally worth it when you get to wake up to a view like you’ve never woken up to before. If you want to visit Havasu Falls in the summer months, you’ll need to book up early. The Havasupai Falls camping area is pretty big but fills up very quickly during peak season. Havasu Falls reservations can be made by booking online. The office is only open from 9am to 3pm, Monday-Friday. There’s a good chance that nobody will answer on your first attempt, so be prepared to call a few times! Camping at Havasu Falls costs around $30 per person per night in addition to the entry and environmental fees. If you visit Havasu Falls out of season (December-February), you can hike or helicopter in and make your reservation on the day. If you don’t fancy camping at Havasu Falls, you can also stay at the Havasupai lodge… which has very mixed reviews. There are no other hotels in Havasupai, so it’s your only option, and you’ll also have to book in advance. The Havasupai lodge has 24 double rooms and costs up to $160 ($145 + 10% tax) for four people. While the Havasu Falls camping is located right next to Havasu Falls, the lodge is located in the Supai village, 8 miles from the trail head and 1-1.5 miles from Havasu Falls. It’s an easy hike in to Havasu Falls and shouldn’t take more than 45-60 minutes. From the Havasupai trail head, the total hike time to Havasu Falls is around 5-6 hours. The time it will take you, of course, depends on how fast you hike and whether you stop for breaks along the way (there are lots of fab picnic spots! ), but the fastest hikers could probably manage it in around 3-4 hours. I suggest going more slowly and enjoying the ride. A swimsuit: Even in January, it was (just about) warm enough to swim. Microfibre towel: To save on space and drying time. Freeze dried food, gas and a pot: There’s a small grocery store in Supai village, but there’s nothing once you get to the Havasupai camping ground. Snacks: The 9-mile hike is long, and stopping for a mini picnic makes it much more fun. Pack energy-packed snacks, such as Clif bars and glucose bars, to keep you going. Water: Don’t take more water than you need for the hike – it’s heavy and you can stock up when you get to Supai. When you get to the Havasupai campground, you can refill your bottle at the spring. Head torch: By far the most useful thing I packed, make sure you pack at least a small torch or headlight. Gloves & toque: Since it’s a canyon, it can get pretty cold at night. Pack some warm clothing just in case, even if you’re hiking to Havasu Falls in the summer. A portable charger/power bank: As you’d probably expect, there’s nowhere to recharge inside the canyon. There’s not much signal, either, but it’s always good to be able to charge your phone. I always use Anker power banks because they last a really long time. A camera! You’re not going to hike all that way and not get at least a photo or two of that water, are you? 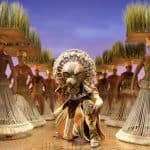 Great videos! When did you go to Havasupai? I’ve never heard of it being that empty. This year is booked solid from February to November.